At Serafino McLaren Vale, we are able to cater for all your needs including personalised and unique food and experiences for in-house guests on a private or small group share basis. Enjoy a short drive to McLaren Vale and arrive at Serafino Winery. 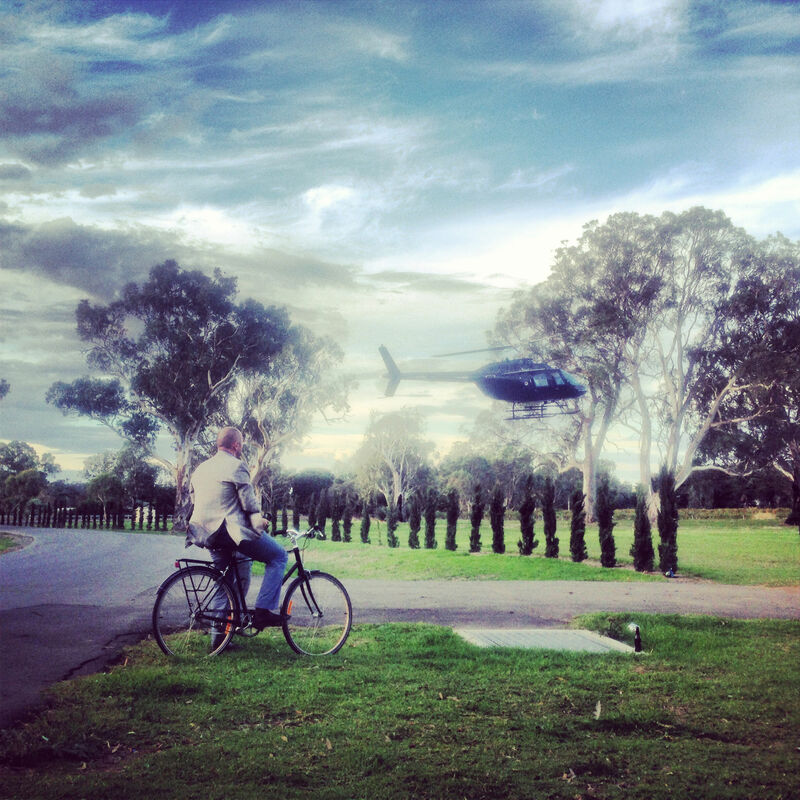 Take a scenic helicopter flight over the surrounding coast line, dropped back to Serafino. Indulge in a picnic lunch showcasing our finest local produce and a bottle of Serafino Goose Island Sparkling Chardonnay Pinot. Enjoy an afternoon of wine tasting in the Serafino Cellar Door. Dine at the award winning Serafino Restaurant for a two course dinner. Relax with overnight spa suite accommodation at Serafino McLaren Vale. Experience a guided Serafino winery tour and private barrel tasting. Hotel pick and transfer to Serafino with a glass of Serafino Goose Island Sparkling wine. Take a helicopter tour, commencing at Serafino McLaren Vale, of Lake Alexandrina, Goolwa Beach, Victor Harbor and McLaren Vale. Indulge in a picnic lunch during your helicopter tour of the South Australian coast. Dine at the award winning Serafino Restaurant for a three course dinner. Farewell McLaren Vale and get dropped back at your Adelaide hotel. *Winery tour and barrel tasting only available Monday to Friday. Experience a guided winery tour and barrel tasting with Serafino Wines. Take part in a unique blending exercise and take home your creation.